Explore Invisalign, a process of moving teeth without traditional braces, as well as Six Month Smiles, a modern twist on tried-and-true orthodontics. You may not realize it, but your smile communicates a lot about how you feel about yourself. Research has shown that a great smile builds confidence and self esteem. Cosmetic dental services can create beautiful teeth, enhancing your overall appearance. Dr. Cecchi is one of very few practitioners in and around Media to be able to place and restore dental implants. 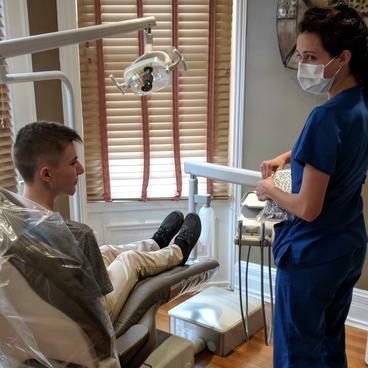 This means that the entire procedure can be accomplished in our office, eliminating the need for multiple visits at different dental offices. 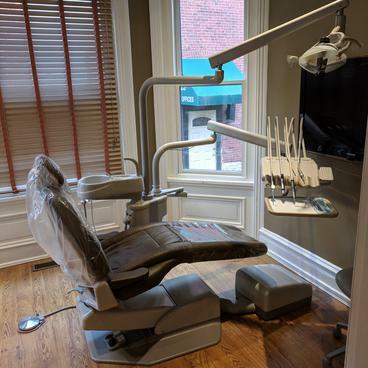 "I am so glad I recently changed my dental office! It is pleasant and professional here and am confident that all the latest technology is available. They hygienist, dentist, and receptionist are absolutely the nicest people."